We got Monday and Tuesday as Christmas holiday. I took the rest of the week for vacation. My grand plan was to cut out lots of patterns and sew. That was the plan! I have done some sewing related things during the week. Not according to plan though! I have only completed one item, the second knit top from Vogue 8323. Let me just say that it was a bear to complete. Compared to the first one, which was a breeze, this one was about to get tossed. The knit I used was much less beefier than my first one; that one was a buttermilk knit. This one had more stretch and that should have been my clue that I needed to perhaps go down a size. Perhaps also because of the scoop neck, it fit different that the cowl/funnel neck one. I ended up taking an extra 1/2 inch seam in upper chest and back. I trimmed 3/8" off the shoulder and scooped out that amount in the front armscye as well. This aided in the fit. 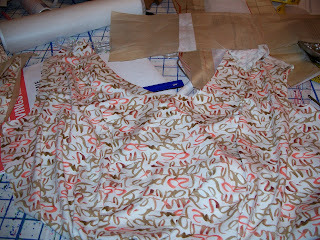 I also took deeper seams in the front princess seams from the waist line down to hemline. I committed to make three purchases from Etsy. My third purchase took longer to acquire as I decided to order labels to sew into my garments. They arrived today! I think they look really nice. Here is a photo taken with new camera that was a Christmas present. I added a special look, called a spotlight, to the photo playing around with the software features. I thought it enhanced the look of the very nice labels. I upgraded my 3D Embroidery software program today. I traded it in and upgraded to 3D Professional. This will give me lots of embroiderying opportunities and possibilities. I am really excited about. Just got back from visiting the sewing/fabric shop in Forest, VA about an hour ago. I am trying to finish my Vogue top. This has become a challenge and I just will not throw in the towel. Review and photos to follow. All I have to do is hem it! Given the softness of the knit, this may provide another sewing challenge. Well, my PSD got off to a pretty decent start. I updated some information on my sewing machine. I installed a new software program that goes with it. I then began working on my Vogue knit top. Prior to Christmas, I had sewn the front and front sides and the back and back sides. Today I sewed the shoulder seams and added the sleeves, using flat method insertion. I then basted the side seams to try on the top. My first version of this top with cowl neck was with a buttermilk knit, somewhat beefier than the knit I used on this top. It was apparent as this top's shoulders were dropping well off of my shoulders. It was also looking rather large in the upper chest. I took a deeper seam in the princess seams in the front and back. I then decided to scoop out the chest area in the arm area. This required removing serger stitches to do this and then restitching the sleeves. Tomorrow will be a crazy day of gift giving, traveling to see family and friends and probably coming home to crash! So I want to wish everyone a very Merry, Merry Christmas ! Previous photo link to another photo hosting website did not work. Here is the back of the jacket now complete. I realized in an earlier post or on my Flicker site, I may have listed the embroidery designs as Dakota Collectibles designs. Actually, the center back designs come from the Mod Pak for the DC designs. The side back designs are actually from a Husqvarna embroidery design-Geometric Designs. I edited the design as it was a large design. I just wanted the flower and swirl to go with the swirl in the center back. I have to decide what I am going to put on the front of the jacket. My DH and I gave each other a new camera for Christmas. Really rather simple to use. I have set up the camera printer and loaded software which allows me to edit photos, etc. I have this capability with other programs but thought I should load this for this camera. Anyway this is a test to see if the photos I took and uploaded to another photo website than the one I normally use will allow ease of photo review when I link from here. 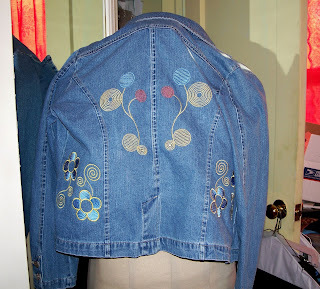 This is photo of the now completed back of the jean jacket. Remember this is a test. With so much activity for Christmas preparation and such, sewing time has been brief. I also experienced a reluctance to get in the sewing room and sew. Friday night, I did cut out another knit top-Vogue 8323 scoop neck. I resumed the embroidering on my denim jacket. I have to say this was an idea I had about a month or more ago. The Designs in Embroidery Magazine came out with an issue relating to embroidering denim. That added to my desire to work on this jacket. I had embroidered one center back panel several weeks ago. Friday and Sunday I completed the other center back panel. Matching up the designs to mirror and stitch in alignment with the other side takes time, measuring, hooping and adjusting. I am pleased with the outcome. Today I got the December copy of Burda WOF. Carla-PR Member-posted a copy for sale, so I was the lucky first responder. I received it in today's mail and plan to look at it shortly after I have finished blogging. Some interesting jackets and blouses from first glance. When I got home tonight I had another priority mail package. I had really forgotten about my fabric order from Sewing Studio. I ordered two knit fabrics during their 5 Day Christmas sale. One piece is black and the other is a red knit. Not exactly the red I thought it would be but it is still a warm red. Hopefully will post pictures of it soon. After going out to dinner with DH, I went to my sewing room and cleaned off the cutting table. This was exactly what I needed to do to give closure to my recent sewing-Christmas related- and by doing so, I decided to cut out the knit fabric for my next version of the Vogue 8323 pattern. I really like the fit of this top. I just read another review of it on Pattern Review. The fabric I used was a piece I purchased from Wazoodle earlier this year. It has a white background with orange and brown squiggles that look like writing. 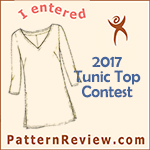 I am making View C of this pattern with the scoop neck. It felt good to being starting something again. Remember this post. My patterns arrived yesterday. I love getting mail and especially packages of sewing related items. I did not opentopen the package last night 'cause I did not want to hear my husband say, more patterns!!!! He also says more shoes!!!!!!! Personally a girl can never have too many of either. I did look at them this morning and I am wanting to try the blouse with the tie soon. Once I get myself into the sewing room and doing!!!! Not thinking about doing. Interestingly enough, I keep coming across sewing blogs where people are sewing, sewing and sewing or like me wanting to but can't get past the thinking about it stage. I also got some very nice bronze colored serger thread from Mardel at Sew Distracted. She had posted awhile back that certain threads did not do well in her serger. Fortunately for me, my serger does not seem to be that finicky, so when she asked if anyone wanted thread, I expressed interest in the bronze thread. Thanks Mardel for sending. 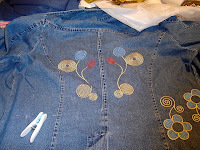 I have not been able to move off dead center to finish embroidering my denim RTW jacket. I can't get motivated to cut out patterns or do much of anything. I completed the Christmas Gift Envelopes and that is it. I go into the sewing room, look around, make a comment about doing this or that and then walk out of the room. I admit I am spending a lot of time here at 'ye olde computer', reading about sewing, fine tuning the blog, buying patterns and yes I bought some fabric from Sewing Studio during their recent Christmas sale. I even talked to a sewing machine dealer about sales she has going on with sewing machines. Hopefully this dull moment will pass and I will get back in the swing of it. Several weeks ago I posted about our local ASG chapter presenting quick and easy Christmas gifts/ideas. I decided to make Gift Envelopes. The photo I am currently posting shows the envelopes complete except for the closure. The instructions provided left a lot to be desired for this part. In the end I decided to tack a ribbon piece to flap and envelope body to tie the envelope closed. I will be inserting gift cards to various places so the person can purchase what suits their fancy. I made this mostly for my staff. They each have special interests so I am giving them a gift card to a store where they can purchase something that fits with their interests. 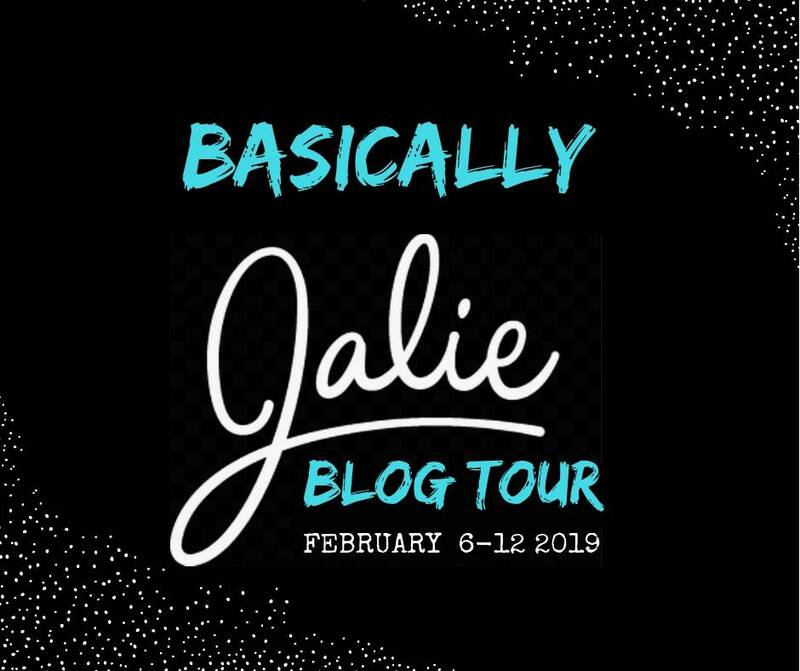 I have been playing with the layout since switching to new Blogger Beta. I want it to be easy to read. Teals and greens are my favorite colors. Please take a moment to give me feedback on the layout. If you are finding it hard to read, let me know. I find that it is pretty easy to change it with the new system. More later on sewing related topics. Well I switched to the new version of Blogger. I lost some of my links but have recovered most. I am still playing around with colors and such. I am not sure that I like some of the background colors. But new version is easier to edit and hopefully post. Hopefully posting photos will work better. Will see!!!!! 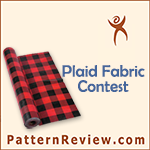 I saw this pattern reviewed at Pattern Review. I fell in love with the blouse the reviewer made from it. She referenced Eva's Dress website. Of course while browsing, I found two other patterns that I of course had to have. One is a 1950's style blouse. The other is a great looking skirt. So I ordered them 'cause I don't have enough patterns in my stash???!!!! And have I had the time to sew of late for me???!!!! 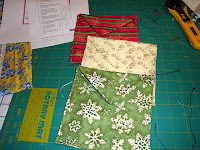 I am taking the week of Christmas off and I plan to sew, sew, sew! I still need to post my Christmas Envelopes. Will do that sometime today. I wanted to list my upcoming Etsy purchase! I am going to get labels for my sewn apparel items. I was undecided what to do for a label and was considering some artwork as well. I have limited funds right now so decided that the label layout and wording would work. Due to holidays, the Etsy seller was unable to work on this and understandably so! I have heard that I am in lineup for my request. 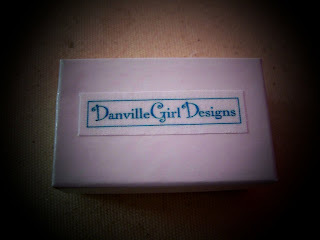 So when this is complete I will be sharing my new labels. Until then, I will keep the details to myself. What American accent do you have?Your Result: The South That's a Southern accent you've got there. You may love it, you may hate it, you may swear you don't have it, but whatever the case, we can hear it.The Midland Philadelphia The Inland North The Northeast The West Boston North Central What American accent do you have? I attended our local ASG Christmas Party today at the Shenandoah Club. I wore my Red Melton Wool jacket that I embellished with the Babylock Embellisher and Clover Felting Tool. My husband took a photo of me prior to the batteries dying. (Unfortunately the photo was a head shot, nothing shows of the jacket.) I took a few shots of the jacket hanging in my sewing room. Hopefully I can get a photo from our club photograhper as well who took several shots. Here are the ones of the jacket hanging. This is the front. It consists of wool roving, various yarns and colorful trim. This was based on a project in a needle felting book by Indygo Junction. This a photo of the back. This is a close up of the collar. I was elected Treasurer today also. I have been in the chapter since moving here and have met some very nice sewists.